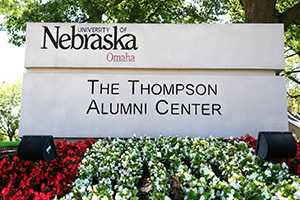 The Thompson Alumni Center is home to 50 to 60 weddings every year. Of the 52 weddings held at the venue last year, 80 percent of them had some type of affiliation with UNO, Summers says. For Lauren Albert and Jared Rutledge, it was that UNO connection that drew them to book the space for their upcoming wedding in the spring of 2017. 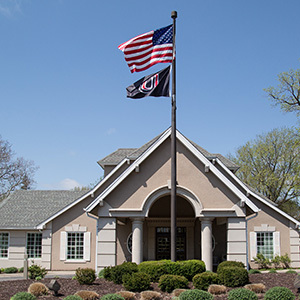 While the two both attended UNO at the same time for a period of years—they actually didn't meet until 2014 when they both found themselves working at Midwest Laboratories. “Sometimes I feel like my whole life is a meeting with small breaks in between,” jokes UNO graduate David Craft (BSBA,’90; MBA, ’92), an executive with Wells Fargo Wealth Management Group in Omaha. With client, staff, leadership and volunteer board meetings filling his schedule, there is a large measure of truth in his quip.